Although people in Cape Town have the beautiful ocean to keep them entertained, it is common knowledge that the novelty of being close to the ocean quickly wears off, and other methods of entertainment rank higher. These methods include having a home theatre system where you and your family can watch any TV program or movie with the same type of sound that you would get by going to a movie house. There are many benefits to having an audio visual installation into your home, including the freedom to watch anything you want, and hit that pause button to run and grab something more to drink! While people in the Cape Town area also enjoy the benefit of not having to fight the droves of people at the mall to go to a movie! What does an audio visual system entail? As with any technological system, there are a variety of choices that you have to make before you can actually go out to the shops and buy your audio visual equipment. These decisions should be made with your family and as much research into each variation as possible, because the sales people in Cape Town will try an convince you that a certain brand is a better brand and it can make the whole experience of getting your audio visual system up and running a lot more frustrating! Main equipment choices: The two main parts of your audio visual system are your surround sound system and your plasma, LCD or LED TV. These both have different features as well as price, if you are working on a budget you might want to start with the cheaper options for now and save towards the more expensive, feature rich audio visual equipment at a later stage. Once you have decided what type of surround sound installation you want, you need to find the right type of sound system for your needs. After choosing your sound, you can look at your home theatre installation requirements and see what other av equipment you need to buy! 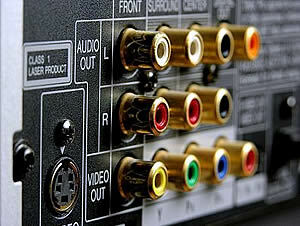 The other choice which plays a big part in the comfort of your audio visual installation is the ability to have a plasma or LCD TV mount with brackets, if you own the property you are living in, then this is simply a choice made on preference, but if you are not the owner you would need to get permission from the owner to have the holes made in the wall where you want to have the TV mounted. A home theatre system is almost as important as the panoramic views that home owners experience in the Cape Town area! Being able to impress your friends or simply escape into a world of fantasy with your speaker system is a wonderful benefit. Choices: Although home theatre systems differ in size and quality, the best home theatre systems are ones that have been professionally installed by Cape Multiview. Decide whether you want a wireless home theatre system or if you able to place the cables for a wired home system neatly along the walls, and then contact a reputable av specialist in the cape town area to have your home theatre installation completed as quickly as possible so that you can lay back and enjoy your favourite movie in style! Impress your friends and entertain your family with the perfect home theatre system in the Cape Town area! This would be a solution that includes a surround sound system. Although it is nice to watch TV or movies on a big screen, it is very impressive to have the same quality sound that you would find in a movie house, in the comfort of your own home! Sound Systems: Although a speaker system is much like any other piece of equipment, there are choices to be made when it comes to your surround sound system in Cape Town. 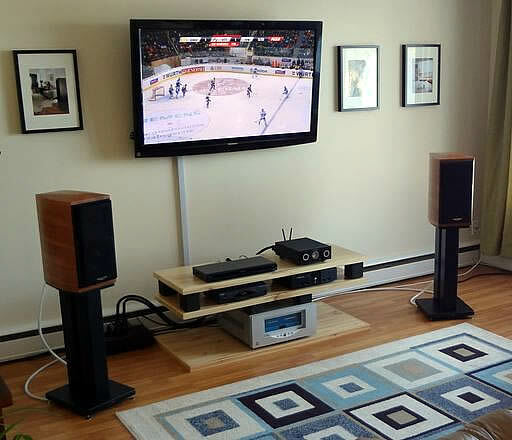 Choosing between a normal wired surround sound system and wireless surround sound systems can often mean the difference between just hooking it up and having a professional av specialist from Cape Multiview come and install your home theatre equipment. Home owners in Cape Town have come to realize that if their plasma TV is mounted onto the wall, they have extended their viewing area and prevented their little children from being able to put their dirty little hands onto the screen! Although mounting your TV onto the wall is simply drilling a few holes and bolting the LCD wall mount into the wall then attaching the TV to the bracket, it is best to hire a professional like Cape Multiview to do this for you! Brackets for walls: Even though the type of brackets used for plasma wall mounts and LCD wall mounts are almost identical, the technique used to secure the brackets differs from each type of wall; a professional in the Cape Town area would know which technique is the most secure. For all your Audio Visual System Installation & Setup enquiries, please contact Cape Multiview on 021 012 5380 today!